Sydney City & Suburban lifestyle can become stressful these days with all the hustle and bustle going on. And singles, couples and families alike are looking to move away from the loud sounds of construction and all that backed up traffic that sometimes resembles an over populated third world city. Just so they can enjoy a slice of the country life. And all without being too remote, but still close enough to the CBD. And one of the popular places that people are fleeing the city for, is the Sutherland Shire residential and bushland area of Engadine. 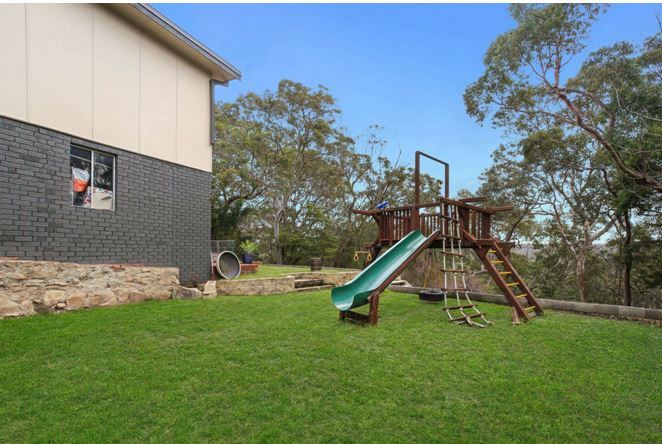 The magnificent suburb of Engadine has been a popular choice of location for homeowners, investors and renters, due to its serene and mountainous bushland surroundings. Bordered by the national park and boasting scenic views. One really gets to experience the country lifestyle in this beautiful area without the feeling of being to remote from civilisation. And when it is only a short drive to some of the best surfing beaches and waterways in Australia, you can see why Engadine offers the best of both worlds. The great thing about Engadine is that all your shops, amenities and government services are all in one area. And the public transport here is fantastic. Not like living in a small country town where the shopping options and infrastructure is limited. Members of the Engadine community have the convenience to shop for supplies and do those personal things like go to the doctor or renew their rego, without having to travel too far to main towns or other major centres. When you speak to the locals of Engadine, they will all tell you how good the community is here. Friendly and safe, people and their families love living in this peaceful suburb. With many great places to eat out and socialise, there is no shortage of selection for entertainment in Engadine. Kids need plenty of fresh air and that city smog is just no good for their growing lungs. And having plenty of Schools in the area, Engadine hosts a healthy environment for your children to learn and grow in. And with plenty of choices for parents to send their kids off to school. It’s obvious why Engadine is a favourable location for families. Plenty of proud homeowners and renovators have made some of the properties in Engadine a highly desirable property market. Engadine provides such variety of options to choose from, and there is something for everyone. Whether you are a single professional of family, you can bet you will find your perfect home in this awesome suburb. If you are looking to invest or sell real estate in Engadine and trying to internet search terms like what my property is worth? Or: how can I upgrade to a bigger home? We advise you stop your searching and speak to one of our friendly team members. And allow us to assess your current situation, on how you can best leverage off the property market in Engadine or The Shire. Our team has being working in local real estate in Engadine and the Sutherland Shire for years now. And our customers come from all walks of life. So if you are seeking an agent that wants to see you succeed and get you optimal outcomes for your real estate? Then get in touch with our real estate agents at Hill & Viteri Property on (02) 9545-2220 or fill out our contact form, and our team will get back to you.